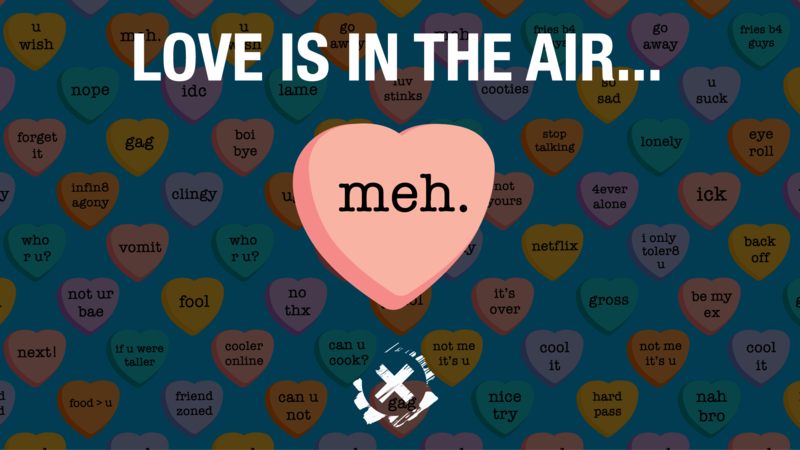 All 6th through 12th grade students are invited to join us for free food, prizes and lots of fun at our Student Ministry Anti-Valentine’s Parties. Let’s CELEBRATE LOVE TOGETHER (OR WHATEVER). You weren’t made to do life alone—even though certain times of year are designed to make you feel lonely. Everyone should have a place where they’re known and belong—a real place with real people talking about real things. We value real, authentic relationships instead of over-hyped, commercialized love. Let’s spark some world change, ignite our purpose and look at what it really means to be in community. Invite your friends to come to the party with you. Parties will be happening February 7-11 during the Weekly. Click below for specific days and times of the party nearest you.